Kim Kardashian West has fought back at her critics after she was criticised for letting her 20-month-old son Saint sit in a front-forward facing baby seat. The 'Keeping Up With The Kardashians' star was criticised for not putting her 20-month-old son Saint in a rear-facing seat but she has now defended her decision to do so. She said in a video posted to her website: "What people didn't know is that Saint is now the weight and height requirement to sit forward-facing. Saint actually weighs more than North, if that is believable." Meanwhile, Kim and her husband Kanye West - who also have four-year-old daughter North together - are set to welcome another child via surrogacy and it has been revealed the couple decided to have another child because she "missed having a baby in the family". A source said recently: "After having Saint, Kim was told she couldn't carry another baby - that it would be too dangerous - and she was okay with that. She was content with two. But even after having Saint and knowing everything, Kanye was already talking about having more kids. He would want a family of five or six if it was up to him. "Kim was never going to let herself get pregnant again. But she thinks her kids have grown up too fast and misses having a baby in the family. Things have been good for the past few months, and she started agreeing with him [about having another child]." And it is no surprise that the pair decided to have more kids as it was previously revealed Kanye is "crazy" about his children. An insider shared: "He loves being a part of the [Kardashian] family and to involve them in the upbringing of his kids. People forget that he has a big family ... so family has always been crucial. And he wants his kids to have that. He's crazy about his kids. They keep him grounded." Kylie Jenner doesn't want any gifts and would rather have a "nice card" for her birthday. The 'Life of Kylie' star turns 20 on Thursday but insists she doesn't "really like" people buying her gifts because it's rare there's anything she actually needs as she usually buys things for herself. Asked what she wants for her birthday, she said: "A jewellery holder. I needed a new something to carry my jewellery in. That's literally something random. That's the only thing I can think of. "Other than that I really don't want anything. I don't care. "I'm doing special charity things on my birthday and I like sentimental things, because the materialistic things, if I want something, I'll usually get it myself. I don't really like when people buy things for me. "Like I would love just a nice card. A handwritten card." 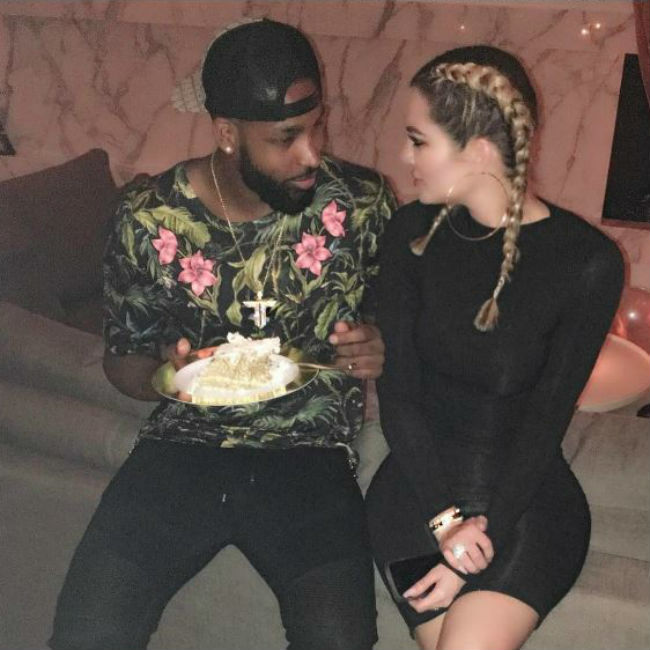 This year, Kylie - who is dating Travis Scott - is planning a much quieter birthday celebration than usual. She told E! News: "Usually I go on a trip every year and I like to do something special and big. This year I'm just feeling family vibes. "I just want to be around my family and my friends and just do something cute." And though Kylie's best friend, Jordyn Woods, 19, is keen to plan something special for her pal, she admitted it isn't easy to organise anything for because the Lip Kit guru always wants to be involved. Jordyn said: "She's not difficult to shop for, but she's definitely difficult to do anything for because she likes to be so hands on in a situation so she just asks a lot of questions. I'm like, 'Just chill! Just relax!' You know?" Rob Kardashian and Blac Chyna are close to finalising their custody agreement over their nine-month-old daughter Dream. The pair have been at loggerheads since the 'Keeping Up With the Kardashians' star uploaded a series of explicit photos of the 29-year-old model online and accused her of cheating on him, but it seems they're keen to keep an amicable relationship when it comes to nine-month-old Dream as they've almost agreed on a custody arrangement. According to TMZ, neither Rob nor Chyna are seeking child support at the moment, but it's believed all that may change when the 30-year-old sock designer finds out that his former flame is raking in more cash than him. Rob - who was once a recluse - reportedly makes little on his own outside of his family's E! reality TV show, whereas Chyna is making huge wads of cash from club appearances and hosting gigs. Meanwhile, although everything looks rosy in the eyes of the law, Rob is reportedly struggling to come to terms with his split and has been comfort eating to cope with how bitter things have gone between them. A source said recently: "He's the biggest he's ever been. He's well over 300lbs now - we don't know as the scales don't go up past that - and he's a heart attack waiting to happen. "He's been comfort eating big time. His fridge has become his best friend." Rob - who was diagnosed with diabetes in 2015 after he piled on the pounds - has reportedly been binge-eating on fast food and candy and gulping down cans of soda. The insider added: "He's got major anger and addiction issues, brought on by a chronic lack of self-esteem over his looks and his position in the family. He's lost the will to live and if it wasn't for his little girl he'd probably not have made it." Rob previously credited Chyna as his "motivation" for losing weight after they started dating last year. Posting a picture of them on Instagram previously, he wrote: "Looking from where I started 298lbs to my current weight now 248.4lbs. I'm focused and determined to reach my goal weight 200-205lbs .... Happy I found my motivation." He also claimed his then-partner had helped him beat diabetes with her loving home cooking. Speaking after being hospitalised with the condition, he said: "It was a big-time scare. I had found out I had type two diabetes six months before but I stopped taking my insulin. I didn't enjoy the routine. So I ended up nonstop throwing up, and I couldn't even swallow because my mouth was dry. I felt like I was going to die. When I got out of the hospital, I knew I needed to make changes. Chyna and I had a really big talk and she told me that by having her cook for me, my diabetes would be gone. And it is." Reality TV beauty Kim Kardashian West has asked her followers to suggest ways to improve her Instagram account. The 36-year-old beauty is among the most-followed celebrities on the photo-sharing website, but has bemoaned her page's lack of consistency and has pleaded with her fans for suggestions. Kim wrote on the site: "I need more consistency on my insta feed. Should I go back to all one filter? Please help. I really need to step my insta page up (sic)"
The reality TV star has as many as 102.1 million followers on Instagram, in addition to 54.5 million followers on Twitter. Kim typically keeps her fans entertained with eye-catching snaps and behind-the-scenes insights into her life - but she recently admitted it is difficult to post worthwhile content. Speaking about her Instagram-related stresses, she explained: "It's such a struggle. It really is. "If people think you just post and it's so easy, it's not. I like my Instagram to look a certain way. There's so much pressure to post, too. If I go to Japan and I just want to have a media-free vacation, and have a great birthday trip. It's the upkeep." Kim recalled one specific incident during a vacation with her husband, rap star Kanye West, that really caused her some stress. Kim, who has daughter North, four, and 19-month-old son Saint with her husband, shared: "Kanye and I woke up at 3am and we couldn't get back to sleep and I said let's go into, in this town in Tokyo where there are all these bright lights, let's go take all these pictures and we'll post them on social media and it will look so cool. "We tried to do it, and it was such a mess, and he just was not the best photographer. I was like, 'You ruined what my social media was going to look like.' So we scrapped that shoot, but we got the good experience." Khloe Kardashian has revealed she and Tristan Thompson first met on a blind date and things went so well that they met up again. The 'Keeping Up With the Kardashians' star has been romancing the NBA star for just under a year and, although people began speculating that they were dating just weeks after they met, the brunette beauty has only just revealed to her famous family how the pair actually got together. In a short promotional video of the upcoming 10th anniversary special of their E! reality TV show, the 33-year-old reality TV babe told the series' creator Ryan Seacrest during a sit-down interview that she and 26-year-old sportsman were set up and didn't know they were meeting one another. The revelation came as a huge surprise to Khloe's sister Kim Kardashian West - who is married to rapper Kanye West - and she demanded to know who set the pair up on their blind date. A shocked Kim said in the clip: "Really, who set you up?" Khloe has made no secret of the fact she wants to take things slowly but it seems their relationship is going from strength-to-strength as they're reportedly keen to buy a second house together. A source said recently: "They live at Khloe's Calabasas house right now. "He thinks the drive from Calabasas to Los Angeles is too far every day. When they go out in Los Angeles, they want a second house that's closer." An estate agent told an online publication that the couple reportedly looked at several properties at the beginning of last month, but are yet to put an offer in on any of them. The loved-up pair will hit their one-year milestone in August and Khloe is "just the happiest". And it looks like wedding bells could be on the horizon as the sportsman is keen to tie the knot with his girlfriend but he's adamant he won't be part of the "Kardashian circus" - but that sits well with Khloé as she is reluctant to make the mistakes she made during her first marriage to Lamar Odom. A source said previously: "He is willing to ride this Kardashian wave if Khloe promises to give him some distance from the TV show and her mum and sisters. "Khloe told him she's learned her lessons from her disastrous marriage to Lamar, as well as seeing the negative effect on Kim's marriage - and on her mum."